Our stone care and restoration service provides maintenance and restoration of granite, marble, natural stone, ceramic, synthetic and fabricated floor finishes. As experts in cleaning, Maclean offers professional stone care and restoration to dramatically improve the appearance and structure of your property. Our expert team can restore any damaged or dull and lifeless stone back to life with its original sheen and lustre. Most natural stones like marble, ceramic tiles and granite are commonly used in building interiors for their durability. However, even the hardest granite can be chipped, cracked or somehow damaged due to improper care. Our stone care and restoration personnel will determine the suitable cleaning and restoration solution for your stone based on where it is used in the building. We have a strong commitment in providing superior stone care and restoration to each and every one of our clients. 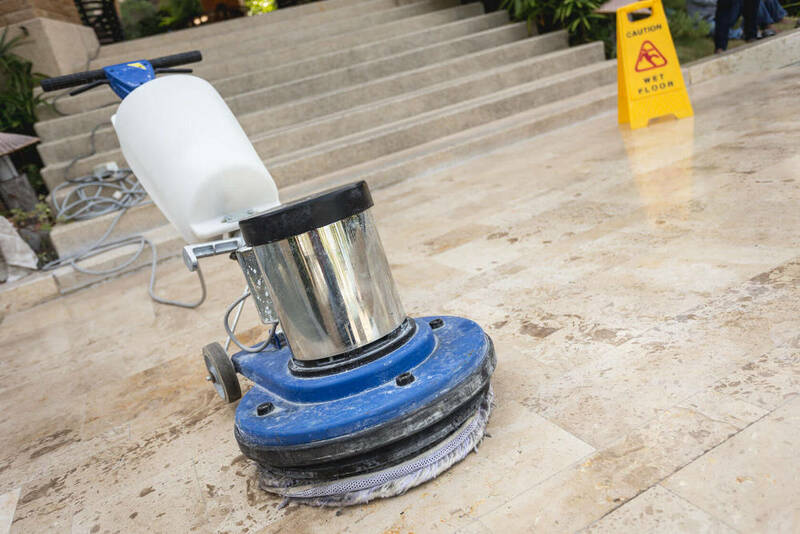 Contact us for your stone or synthetic floor cleaning, polishing, repairing or restoration to enjoy a polished surface that looks brand new all over again.